Featuring a long, slender bowl that gracefully tapers down to a footed base, these specifically proportioned pilsner glasses are great for showing a golden-colored, classic pilsner. 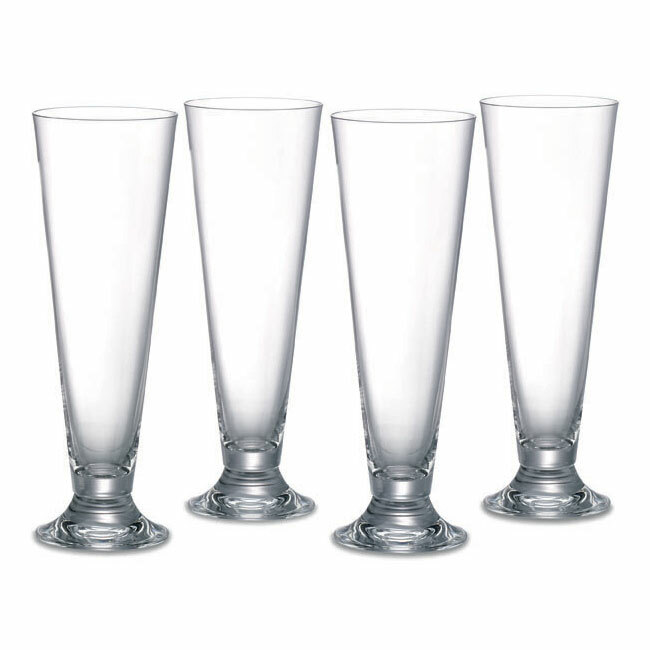 With a contemporary design, these pilsner glasses always create a casual styling to your home. Each glass stands 9-1/4 inches tall and is capable of holding 20 ounces. Additionally, it is recommended to store crystal stemware upright to prevent chipping. Marquis by Waterford’s elegant Vintage Stemware pairs classic shapes with impeccable craftsmanship for a timelessly sophisticated look. These glasses are perfect for formal or casual entertaining and they are so lovely you’ll want to use them every day.